TBH, the XR is no runway model either.....but I guess the main "redeeming" feature of the KTM is the stonking engine that resides between the frame rails....I rode the Superduke when I was looking around before bying the XR and was totally blown away by the huge performance of that twin cylinder monster....it was only the horror stories of failed engines and poor customer service etc I had read on various KTM forums that put me off getting one. I'd be worried about the KTM warranty. This was pulled off their warranty downloaded today from their website. Check out the first two sentences!! material or workmanship subject to the limitations of this warranty. Body styling and post-sale support aside - what a monster of an engine. It was my first choice for a sports-tourer, but not at the (then). £17k. 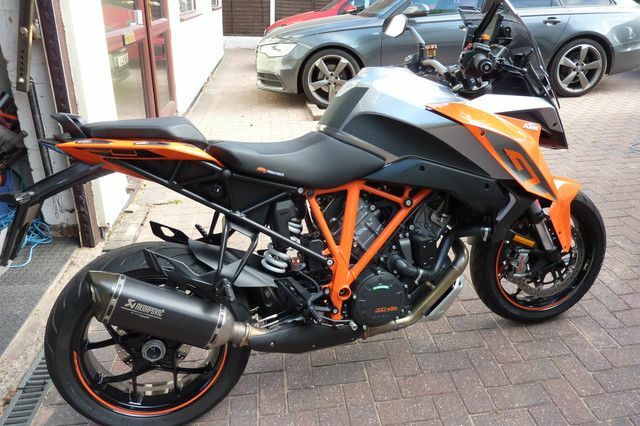 If it wasn’t for the fact that KTM have discounted them I wouldn’t even have bothered looking at one but a straight forward decision on buying one it ain’t compared to an X/R purchase. There’s one thing for sure your never going to wear top gear out!!! Anything less than 75 it starts chugging but blimey what a motor and that’s comparing mine not a stock X/R.